TUBA, Benguet – The existence of a Permanent Environment Protection Order (PEPO) over the controversial 3,000-hectare Mount Sto. 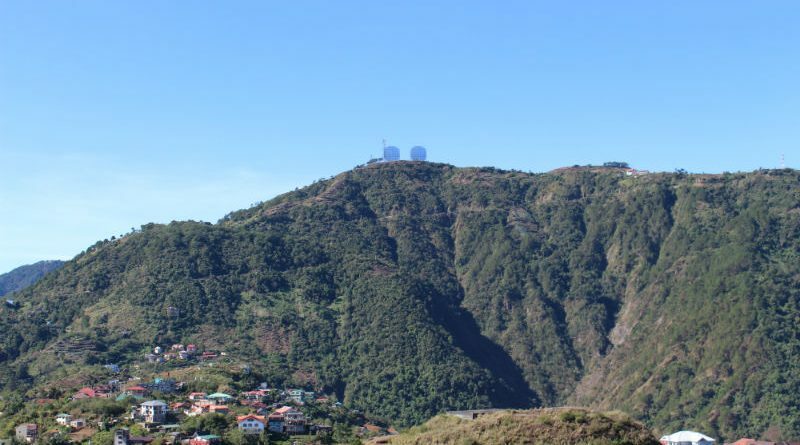 Tomas forest reservation is not a deterrent to the influx of tourists wanting to have a top view of Baguio City and other parts of the lowlands because of the alleged connivance of personnel of the Department of Environment and Natural Resources (DENR) and the Philippine National Police (PNP) manning the checkpoint before entering the said reservation. Sources, who requested anonymity for fear of reprisal from the concerned personnel and for security reasons, claimed that while it is true that tourists are being barred from entering the forest reservation because of the prevailing PEPO, there are some personnel who eventually offer the visitors to leave their vehicles behind and rent out the parked vehicles in a nearby vacant lot so that they could freely go around the different areas of the reservation without being chanced upon by roving monitoring personnel in exchange for a still undisclosed fee. “We observed that it has always been a scenario in the checkpoint that motor vehicles of tourists are prevented from entering the reservation but after a few minutes of discussions between the willing visitors and the personnel in charge of the checkpoint, the vehicles of the tourists proceed to the parking area and park while its passengers board one of the parked vehicles in the place and proceed to the top of the mountain where the tourist spots are situated. Surely, there is connivance between the DENR and police personnel manning the checkpoints because why are the visitors able to enter the reservation despite the prevailing PEPO,” the source added. The sources proposed that instead of allowing the illegal practice of the people manning the checkpoint to go on unchecked, Mount Sto. Tomas should be already opened for the regulated entry of tourists in exchange for the imposition of the appropriate regulatory fees so that the funds to be collected will accrued to the coffers of the local government instead of going to the pockets of certain individuals who want to enrich themselves at the expense of the town’s scenic tourist destination. Further, the sources suggested that if the forest reservation remains closed pursuant to the PEPO, then there must be a third party to help man the checkpoint, specifically personnel of the local government, so that there will be a sincere implementation on the total ban on the entry of visitors in the forest reservation while the comprehensive master development plan and zoning of the reservation is being finalized and eventually implemented.